We have just undertaken the huge task of re-designing and re-building the Contactpoint website. Until last week, our website design was over 5 years old, which is ancient in web timelines, particularly for a web design & development company. Our previous website design was aimed squarely at indicating that we were working with the Windows Metro Tiles in our mobile app designs and builds. The Metro Tiles design style was fairly new at the time, which confirms just how old our site design was! When you have a large website, with lots of historical content created as a result of hundreds of hours of investment, and when your site covers many areas of endeavour and really matters to the way your organisation is viewed in the marketplace, then refreshing your website is a significant undertaking. Do you have the impression that your website looks a little out of date, but aren’t sure why? 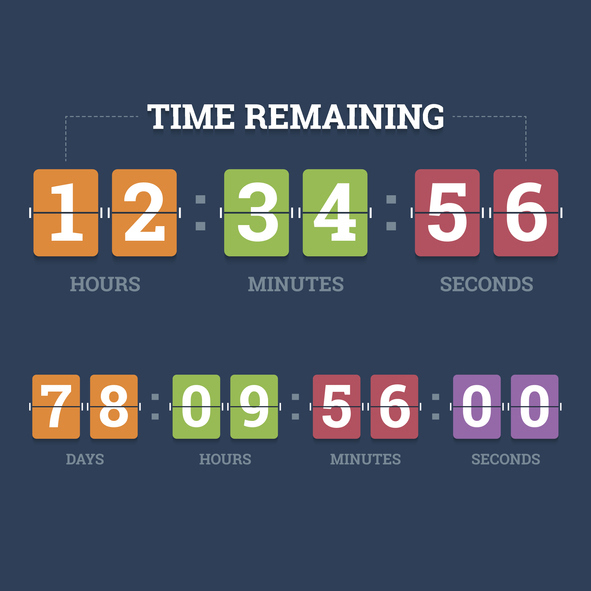 Are you wondering whether it is worth the time and resources required to refresh your website? In this article I will address both of these questions, and of course, I’d be very happy to discuss this questions with you if you need a sounding board. First, let’s have a look at the latest design trends that you will be seeing in the newest websites, and some reasons behind those trends. It is currently very popular to use illustrations, rather than photos, particularly in software-as-a-service or start-up technology company websites. Illustrations are helpful to convey new ideas without the constraint of a photo, and explain a new concept in pictures rather than lots of words. Similarly, we are also seeing much more use of hand-drawn, unique icons to help direct the user to the right information, and to solidify a point being made. The quirky and hand-drawn style of illustrations and icons make websites more friendly and engaging. 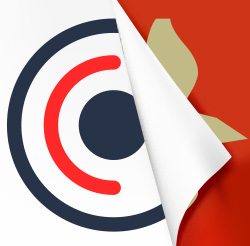 You can see this in the icons used on the Yelp website and Slack website for example. 2. Lots of white/empty space providing separation of sections of content, also with less information per section. Both of these visual devices make it very easy for the visitor to take in the content, and focus on the key point/s. 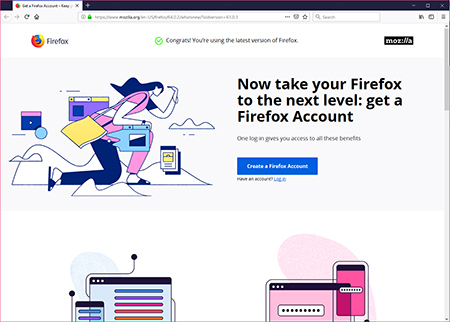 The new Firefox website shown above is also an example of this trend. This also makes mobile responsiveness easier, as you have less content to deal with on the mobile, however, it needs to be balanced against the impact on search engine optimisation; Google works out where your site should be ranked primarily on the content you include in your site, so you need to have significant amounts of content. For a beautiful example of an animated logo, check out: Fubiz (you need to wait first for the whole site to download, and the logo animation doesn’t run constantly so you might need to be patient). The Myer website currently employs an animated logo to emphasise the “My” in Myer matching their TV advertising slogan. The Ikea website uses an animated icon to highlight information about their parcel delivery service. 4. Use of video. Like animation, video grabs the attention of the visitor, and provides for deeper engagement with your audience. The use of drones to create unique footage is also continuing to drive the popularity of video, as seen in the home page element of the new Brighter Lines website. Video is increasing being used in more subtle applications – backgrounds that automatically play in order to add atmosphere to your website without requiring the user to focus on and listen to audio at the same time. 5. Design for mobile. This is not so much a new trend, but designing for a great experience on mobile devices has become even more important with Google’s recent change to “mobile first” for ranking of websites, whether you are searching via your mobile or not. Not only does your website need to look great on very small screens (and every other size) it must also be very fast to load on mobile. 6. Headings, Headlines and Buttons. Examples of the latest trends in headings, headlines and buttons are shown below. These trends are partly about fashion, but also strive to make text shorter, and calls to action, very clear and obvious. They are used to take the visitor down the desired path. 7. Typography. Choice of fonts has become more important with Google making it easier to incorporate a unique font into your website, without sacrificing load speed or readability. The font used in your website will be focused on ease of reading on screen which is why sans serif fonts dominate. Large fonts, and capitalised headings, are used widely, as shown in the examples above. The space between lines and paragraphs are carefully chosen for readability and aesthetics. 8. Cards, tiles and panels. Google’s Material Design was launched in 2014, incorporating flat design – predominantly solid, strong colours – bringing to digital design the concept of surfaces with edges that guide the user, but can extend based on interaction due to the digital nature of the surfaces. “Cards” and tiles with subtle drop shadows, becoming more pronounced on hover, help to focus the visitor’s attention as well as provide subtle interactivity with your website. Google also provide programming language around the elements of their design system to assist in their implementation. Cards and panels are usually implemented in a grid system, which aids mobile responsiveness. 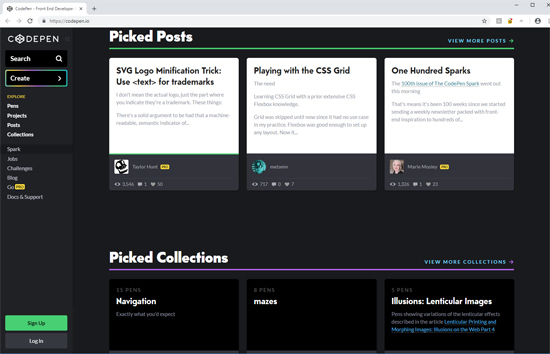 An example of cards implemented by CodePen.io is shown below. Reddit and other news style sites use this design element extensively. 9. Asymmetrical Designs As a break away from the extensive use of grids and boxes, asymmetrical designs are becoming more frequent. The Cloco website is a great example of asymmetry. Our new Contactpoint home page – custom technology Melbourne with angled background sections are an example, leading the visitor’s eye to want to keep scrolling down to see what comes next. 10. Hardware driving design trends. For mobile app design, the iPhone X requires special treatment due to the “notch” cut out of the top of the display and the introduction of “Super Retina” display. The digital screens now surrounding stadiums such as the MCG and inside the Rod Laver Arena, also drive design changes as they extend the boundaries of what is possible, and increase expectations of viewers. The above is not an exhaustive list of all the design trends you will be seeing on the web, but it will certainly help you to pinpoint why your site might be looking a little old compared to newer sites. Why is it important to keep up with design trends? If you are not in the fashion industry you might question why you need to try and keep up. Certainly, we are not planning to change our website design every time something new hits the web. However, the design of your website, and all your marketing material on and offline, is a powerful indicator of who you are, and who you serve. Fashion. There are those who make up the numbers of the “standard deviation” (the outliers who like to start new trends, or go off grain) and then there is the majority; people behave in a tribal way, following the trends of the tribe or group of people with whom they want to identify. The concept of Tribal Marketing asserts that when the trends and look of the tribe that your organisation serves moves, you need to move with them so that you are still recognised as being part of the group and serving that group. Keeping up. The desire to keep up with the latest and greatest, or not miss out, is a strong drive. Looking outdated can be a signal that your products and services are also not up to date. Depending on your industry, falling behind can mean losing competitive advantage or missing out of value available to others. First Impression. Research has shown that website visitors make a judgement call about who you are in a fraction of a second. Having a good first impression via a strong website design is important to keep a prospect on your site long enough to find out more about your offer. Improvements in experience. Most of the design trends described above are not just about changing for the sake of fashion; the changes are part of constant improvement to help guide the people you serve, and want to serve, to action, and communicate your most important messages more clearly. Communication. Getting your message across – all of your message – can be delivered so much more effectively through design and visual elements, compared to all the words it would take to deliver the same message. The other side of this coin is that your design might be communicating messages to your visitor that you aren’t intending, especially if it has been the same for a long time. 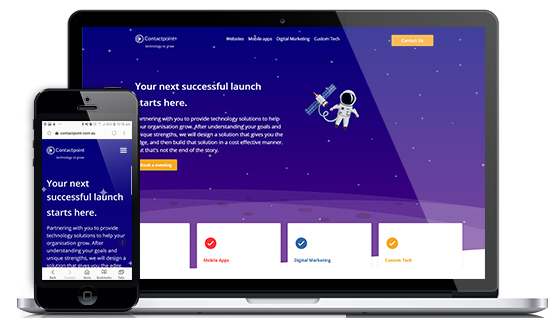 We understand all the steps involved in designing a new look site that appropriately reflects your organisation and positions you correctly for your target audience, and then building your new site to achieve the greatest engagement of your visitors. Don’t hesitate to get in touch to discuss your website or web application design. Design trends are a favourite topic for discussion at the start of each year. However, what is possible in the design of an email campaign is significantly constrained by email programs used by the recipient (or at least, the lowest common denominator of email clients). Email design must also ensure a great experience for those reading on a mobile phone, as well as a desktop computer; as of June 2018, 46% of all emails are opened on a mobile phone(1). Emails from major brands continue to be highly designed, and consist predominantly of all images. It seems that the major brands expect that their customers will open and download the images so that they can actually see the email, without any further encouragement. Less popular brands and professional organisations, however, would be well advised to intermingle images with text and colour blocks that appear without image download, to entice the recipient to read with more than just the sender’s name and subject line. One of the most popular design trends in emails is including animated gifs to entice curiosity and therefore click through to the organisation’s website. Animated gifs can also be used to better explain concepts inside an email; a picture tells a thousand words. Because you want the animation to surprise and delight, using them in every email you send runs the risk of becoming predictable, so mix it up. Unfortunately Outlook 2007, 2010 and 2013 do not support animated gifs, and will show the static version of the animation by presenting the first frame of the animation. That means you need to include all the important information in the first frame, to cater for the high percentage of users still using these versions of Outlook (approximately 8% of the global population). Many frames and complex animations will cause your images to get very large, very quickly. So you should stick to very simple animations. It takes more design skills to create great looking animated gifs, compared to a single static image. Accessibility for the visually impaired can also be an issue. Consider slowing down rapid frame rates, depending on the image. Including live content in the body of your email – think live results from a poll, count down to the end of a sale or ticket availability, latest content shared by other customers, current weather, something happening close to the location of the opener. Live content is information that is updated when the recipient opens your email. This tactic, if used to provide richer, more relevant experiences for your reader (not just used as a gimmick) will significantly increase the engagement of your audience and possibly aid in community building, and will cause an increase in the number of times that an individual opens the same email. Live content is being seen increasingly in social platforms e.g. Facebook Live where users are streaming video from an event. Live content is also a tactic that you will want to make careful use of, as it can backfire if the live content rarely changes, is of poor quality, or is uninteresting. The use of live content is likely part of a cross-channel marketing campaign. For example, a physical event, involving sharing of content online, with online ads pointing to the website, and an email campaign promoting the event before, during or after. This trend of co-ordinated marketing across multiple channels has been a goal for marketers over many years, but made difficult by disparate systems. As technology integrations proliferate some of these difficulties are being removed, and the end consumer is seeing the same message in more places, with great effect. Delivering a co-ordinated marketing campaign across multiple platforms – ads, website, emails, offline marketing – requires a lot more design effort and co-ordination across multiple teams in larger organisations, but will produce significantly better results than a message only distributed in one channel. If you would like help to use any of the above trends in your email marketing, don’t hesitate to get in touch. Google recently celebrated its 20th birthday.? Over it’s short lifetime it has become an indispensable tool that millions of people rely on everyday. Can you imagine life without Google? Digital marketing has also developed in capability over the past 20 years. Once it was enough to simply have website, and perhaps a well-placed banner ad. However technology and consumer expectation has evolved, and there are a multitude of new ways to reach consumers. You might think of Google as a search engine, but at its core, Google is the world’s most effective advertising platform. Have you ever wondered how Google (or Facebook etc) manage to show you ads that are startlingly relevant to your needs? They use thousands of data points on every single one of us to help target the best audience for advertisements. Just like your Facebook stream is personalised to you, so are the ads you are shown on Google, based on your search and browsing history. For advertisers it can be quite cost effective to advertise on these platforms, as your ad is only being shown to the audience you’ve selected, and that the platform calculates is most likely to respond to your ad.? With Pay Per Click advertising (PPC) you only pay when a user responds to your ad, minimising wasted budget on uninterested people. People use Google when they are hunting for a solution to a need. They are often ready to act, so ensuring your product or service is displayed is critical to marketing your business these days. Underneath the paid ads are the organic search results – the best ranked matches for a search.? ?This is why Search Engine Optimisation (SEO) is crucial for most businesses online. You need to be there when the consumer is ready to act, and SEO is the craft of optimising a website to rank as top answers to valuable consumer questions. Do you have a mailing list signup on your website? Perhaps you send an email every month or so, keeping your customers up to date with your business. No longer is it enough to send out a general email newsletter to all your subscribers. Consumers expect advertising and messaging to be relevant to their needs and interests. Have you ever bought clothes online? You’ve no doubt received follow up email campaigns that showcase other items you may like to purchase, based on what you have browsed and purchased before. Their digital marketing platform tracks not only what you purchase, but also what you’ve looked at and added to your cart, and uses that data to build a profile on you in order to send an individual email – just for you. This is dynamic personalisation and email marketing automation, and it’s a core part of modern digital marketing. However it doesn’t end there. You may go back to the website, and the homepage banner is also relevant for you, and other users who are part of your segment. A segment is a collection of people that fall under a certain category – gender, age, time since last purchase – there are endless ways we can use data to make offers and messaging more relevant.? ?In fact, segmenting your data is the best way to help keep a positive return on investment for a digital marketing campaign. Your aim is to send the right offer, to the right person, at the right time, at the right price. Perhaps you’ve looked at a product in a website but didn’t purchase. Sometimes, ads for that product seem to follow you around the internet – on other websites and social media, or you might receive an email reminding you to complete your purchase. This is called retargeting. Retargeting is a very effective way to help persuade consumers who have shown interest, but haven’t yet purchased, or taken action.? ?Because the retargeting is only advertising to visitors that have already shown some interest, it keeps the costs down and the conversion rate up, leading to excellent return on investment for these campaigns. That phone in your pocket is more than just a device for phone calls. It’s your 24 hour portal to the internet. As this has become the standard, consumers also expect businesses to cater for them at all times of the day. So how do you handle this expectation? A recent trend has been the introduction of helper chat popups on websites that can answer consumer questions at any time of the day. These popups can provide customer service using pre-populated answers, or alert you if a potential customer has a query. They are cost effective and can help convert visitors to customers by enabling excellent, on demand customer service. As technology advances, so does the way we do business online. 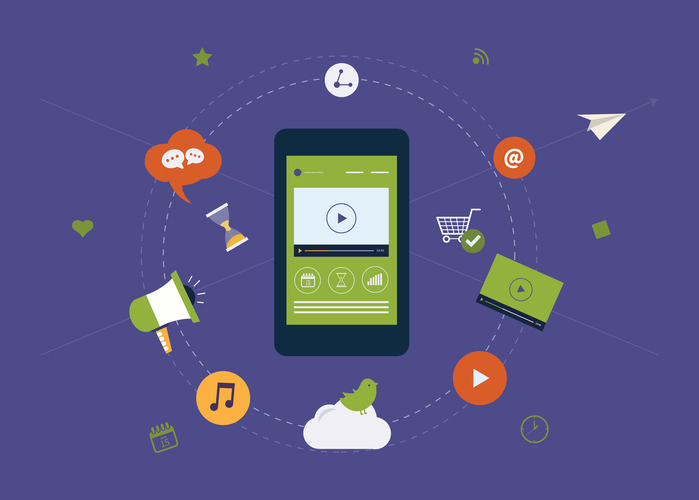 Above are just a few of the recent trends in Digital Marketing. If it’s been a few years since you have had your site built, or tried a digital marketing campaign, call us today on 03 8525 2082 to arrange a free consultation in order to assess your business needs, and determine cost effective digital marketing strategies that can make your business stand out online. If you started your business more than 5 years ago, you could be forgiven to believing that online marketing was something to try out if you had a bit of spare marketing budget. Times have changed. Over the last few years, the reality of digital marketing for small business has gone from a nice-to-have to a must-have for most businesses. Consumers are more connected than ever before, and their default behaviour when looking for anything ? products, services or information ? is to grab their mobile phone and search online. Even word of mouth has gone digital; recommendations happen across social media, and online reviews can have a significant impact on your business. Bottom line: digital marketing is more important now for small business than ever before. We have many clients for whom we have carried out digital marketing across a wide range of platforms and strategies, many of which achieved significant increases in new business enquiries or sales. Some of our clients now receive the majority of all their incoming work through digital marketing channels. That’s not to say that word of mouth is unimportant; it’s simply that digital marketing provides you with immediate results and a wider reach at a lower cost. However, it is very possible to implement digital marketing poorly, and therefore not achieve the results you are seeking. That’s often why we are engaged by our clients to design, write, execute and manage digital marketing for them. Digital marketing can have a bit of a bad reputation. Unfortunately, there are many less scrupulous service providers who use digital marketing tactics to grow their own business and then fail to deliver tangible results for their clients. Even worse, they use tactics to “game” online platforms like Google for short term gains but ultimately end up with the client being penalised. At Contactpoint, we take an end-to-end approach to digital solutions for our clients, and digital marketing is just one part of it. It’s our holistic approach that helps us deliver real results for clients, as we take the time to discuss our client’s business needs and only then recommend an approach for digital marketing that can deliver results. We never recommend the latest digital marketing technology just because it’s flavour of the month, nor will we cheat the system to get the quick results. Just one example of our success in delivering digital marketing results for our clients is Nortan; providers of air conditioning and heating service and installation. Via a range of activities including a great mobile responsive website, pay per click advertising and SEO, Nortan are kept very busy all year round with new incoming leads, and have grown their business significantly over the time we have been providing digital marketing services. In fact, from time-to-time Nortan ask us to pause their digital marketing campaigns, because they are too busy with new work! What a good problem to have! We work very closely with our clients to ensure that the level of business digital marketing campaigns produce are manageable. If you would like to revisit your use of digital marketing to grow your business, please feel free to call Heather Maloney for a chat. Inbound marketing (aka ‘permission marketing’) refers to the strategy of attracting leads for your business via company-created digital content. That content addresses the needs which your products or services fulfil or problems which they solve, resulting in the right people (those trying to solve that problem or fulfil the identified desire) approaching your organization, and working their way through your material in order to self-select or qualify themselves as a potential customer. So, inbound marketing is a strategy. You need to assess whether it is a strategy that is suitable for your particular business and marketplace. Because everyone hates being sold to … it’s that simple! When was the last time you were on the end of a cold call, and you thought “oh yes, why not spend the next 15 minutes listening to this offer about why I should switch electricity companies?” And even if you have engaged in such a phone call lately – perhaps to the person from a very worthy charity, rather than the electricity provider – did you end up buying / donating or just wishing them a nice day? If you are in sales, and you only have to talk to people who are already in the market for your products / services, your job is so much easier. Inbound marketing the focus is on providing help or value, rather than making a sale. The sale will come as a natural result of providing value and solutions. Inbound marketing also addresses the new buyer behaviour that we have seen evolve over the last decade; customers carrying out personal research and practically making the decision with regard to what they want to buy, before they ever talk to a vendor. Also, with the proliferation of paid TV, many more free to air channels, internet radio, and free video content, ensuring that a more traditional advertisement is seen or heard is a lot more difficult. This article provides many statistics showing how effective inbound marketing can be compared to outbound marketing. Please note, I am not saying that traditional marketing no longer works … I heard a presentation from a career telemarketer just last week, explaining the benefits of lead generation via cold sales calls. You need to ensure that your choice of marketing strategy is right for your market and your ideal customers. Plan the content you are going to create in order to solve your prospects questions and engage them in their journey of discovery, building trust in your organisation, and desire for your products and services. Determine which tools or platforms you will use to make your content accessible to prospects. Disseminate the content and make it easy for people to find, and/or pay for traffic. Measure and analyse the results, improving the content over time. Clearly implementing an inbound marketing strategy requires effort and co-ordination of a variety of activities. Utilising a team of resources will help you implement more quickly. Tools such as a content calendar will help you to plan out the creation and distribution of your content in a logical manner. Inbound marketing = making your marketing material extremely accessible so that your prospects can easily find the answers to their questions or solve their problems (i.e. find your products or services), when they are actively looking. Your content must add value, and guide prospects for whom your products and services are a good fit, towards the point of purchase. Some people will be in a hurry and will purchase immediately that they find a solution, so being able to buy from any piece of your digital content is important. Other prospects will take their time, evaluate multiple options, test you out, and then finally purchase days, weeks or months down the track. For such buyers, your content needs to educate and build trust. Blogs – either a blog on your own website, or blogs published on other popular websites, pointing back to your website. Videos – most commonly distributed via YouTube, giving you access to people searching through this video search engine. Reviews – usually in 3rd party platforms such as Google Reviews. However, they can also take the form of testimonials in your own website, including video reviews. Website content – including online courses, guides, survey results, reports and research, white papers, diagnostic tools. Press releases – often distributed via dedicated PR sites. Pay-per-click advertisements (‘PPC’) – whilst this might sound like traditional outbound marketing, because you can configure your ads to only appear in response to searches for specific keywords or phrases by people located in a particular region, PPC ads can be very useful for bringing visitors to your website who are trying to solve a particular problem. PPC is very useful for bringing in immediate readers of your content while you are waiting for your organic ranks (SEO) to improve. Google Adwords and Bing are the main two platforms for PPC ads, because they are the most used tools for searching for answers to problems. PPC ads must be supported by dedicated content on your website, also called ‘landing pages’. People who click on your ad will arrive on your landing page. To get the best return on your investment in that click (you are paying per click), it is important that the content delivers on the ad, and then takes the visitor along their journey of [hopefully] deciding to buy from you. Social media – people talk about topics on social media, as well as talking about their lives. Find where topics related to your products and services are being discussed, and then get involved in the conversation. Posting your own content in your social media accounts will also help people to find your content when they search for it in the social media platforms ? most social media platforms use hashtags (#) for helping people find content on a particular topic. Social media advertisements – this is PPC within social media platforms. The difference is that for some of the social media platforms, you can configure your ads to only show for people who match very specific demographics. Email and SMS marketing – once people have identified themselves as actively seeking to solve a problem or fulfil a desire, hopefully for your product, they may subscribe to receive future email and SMS messages from you. To inspire visitor opt-in for email / SMS there must be compelling value contained in your digital content. Often your blog content and other website content will be pushed to subscribers in a logical manner. Marketing automation – tools which automatically send a choreographed series of content to subscribe to learn more about your products and services. 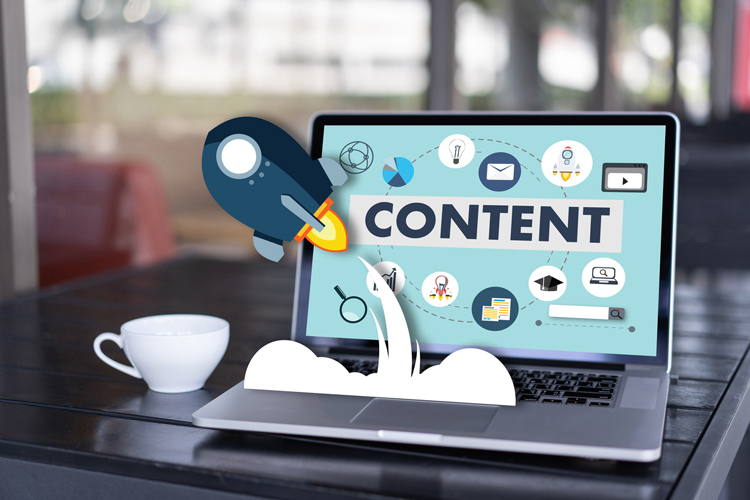 The more sophisticated of these automation tools will start and stop the delivery of your content, based on the manner in which your prospect is interacting with your content. One of the great advantages of digital marketing tools is that they enable you to measure the interactions of people with your content, and identify where visitors are dropping off. This can help you to improve your content and marketing process over time, and therefore increase the rate of conversion of visitors to paying customers. As part of our digital marketing services we would be delighted to help you determine whether an inbound marketing strategy is right for your organization, define and plan your strategy, create the required content, implement, and analyse the results. The Contact Point brand was established nearly 11 years ago. The visual identity of our brand comprises a hand-drawn asterisk; the idea was that if you were looking at a list of suppliers, you’d mark the one you wanted to contact with an asterisk. My Gen Y colleagues look at me blankly when I talk about written lists, and marking one with an asterisk. And let’s face it, we’re a technology company, so what place does written lists have in that? Time for a refresh! Our business aim is to partner with our clients to help them be the contact point in their industry, by using the best technology solutions and digital strategies. –	To be easy to recognise. –	The outer circle reflects both the global nature of our work, as well as the team it requires to deliver. –	The overall logo is also reflective of a target. Our clients have goals that we assist them to achieve, and we are about making them the target – the contact point – of the right customers. We would love your feedback re: whether you feel that our new visual identity successfully achieves the above goals. Stay tuned for our new website design which will better incorporate the new logo, as well as bringing the user experience up to date. Often such a change means that the brand no longer supports the organisation’s purpose. New markets usually comprise people with different demographics, pain points, ways of communicating, and perhaps culture. A new brand may be required to better engage with that new target audience. Mergers and acquisitions usually combine brands that clash with one another. A rebrand in this situation will help the organisation to present a consistent message to the market. A new name obviously requires a new brand when the visual identity is tied to or incorporates the original name. Imagine if Coca Cola changed their name (not likely given its value!). Their brand would most definitely need to change. We regularly assist our clients with creating new brands, or refreshing their brand or visual identity. Feel free to get in touch if you would like to discuss this for your organisation. Consumer Decision Journey – throw out the Sales Funnel model! As the creator of a broadly used email and SMS marketing solution (eNudge) for the Australia marketplace, I thought that over the years I would see a general improvement in the way email marketing campaigns were constructed and delivered. I’m sad to say that on the whole, nothing much has changed. eNudge provides a myriad tools to help you segment, target, automate, measure and analyse, but it’s in the execution where many people fall down. Business owners and marketers get busy, and then just flick off a quick email to get a spike in sales. They are content with a spike and move on. However, I know there is a better way … there always has been. Many marketers refer to it as lead nurturing, and email campaigns (including the eNudge Message Series functionality) are an excellent way to nurture your leads. For many years, marketing personnel have been working with a Sales Funnel model in mind – a linear movement of a potential buyer through awareness, interest, desire and finally action (buy). Lead nurturing refers to understanding where your lead is in the sales funnel, and give them the next piece of information that they need to take them to the next step in the journey; the next step closer towards being ready to buy. The changing landscape of information availability via the internet including the impact of social media, and more recent research into buyer behaviour, suggests throwing out the sales funnel model and replacing it with what is being called by McKinsey as the “Consumer Decision Journey“. McKinsey research revealed that far from systematically narrowing their choices, today consumers take a much more iterative and less reductive journey of four stages: 1/ consider, 2/ evaluate, 3/ buy, and 4/ enjoy, advocate, bond. During stage 2 (evaluate) where the Sales Funnel approach says the the options get narrowed down, this in reality is where the brands most active online often replace the brands that were in the original consideration list (perhaps added to the list because of traditional advertising). The consumer’s options actually expand during this phase and the originals often get thrown out where there isn’t enough information online or customer reviews to support them. Even more critical in what is being seen now in consumer behaviour, McKinsey discovered that during the 4th stage (enjoy-advocate-bond) more than 60% of consumers conduct online research about the products after purchase – a touch point entirely missing from the sales funnel approach. It is during this after purchase where your customer will advocate for your product or service by word of mouth, and produce online content to help future consumers in the consider and evaluate phases. Other recent research by the Harvard Business Review team has shown that achieving the “full” sale to a B2B client is best achieved by providing the opportunity for that client to purchase small prototypes or incremental products along the buying journey i.e. as part of the evaluate stage. For more about this read: “To Increase Sales, Get Customers to Commit a Little at a Time“. It was no small task, but the Harvard Business Review article describes an example implementation of changing the view of marketing to that of the ‘Consumer Decision Journey’ lead to a new TV becoming the top seller on Amazon.com and the company’s best performer in retail stores, far exceeding the marketers’ expectations. Your email marketing activities should assist you with with each of the above. Email campaigns should be created specifically for new customers and should point to additional online resources, and specifically ask for reviews or feedback. Email campaigns to your wider database should reference case studies and additional information available to help prospects in the evaluate phase. We are passionate about helping businesses to grow using online technologies. A Google search of the definition of ‘user experience’ returns: the overall experience of a person using a product such as a website or computer application, especially in terms of how easy or pleasing it is to use. The definition of user interface is the means by which the user and a computer system interact, in particular the use of input devices and software. Clearly user experience is significantly impacted by the user interface design, but it is also affected by text content and process flow. The overall aim is the creation of websites and apps that provide unique and clean designs, communicating clearly with the user, which not only attract users, but make them want to come back. User interface design uses typography, colour and layout to create the best possible user experience. Below I have described 7 user interface design trends that contribute to a great user experience and which I expect will be very popular this year and beyond. Responsive design takes a website and re-arranges and resizes certain elements to display better depending on the size of the screen being used to view the content. With the enormous uptake of mobile devices for internet browsing, responsive design is becoming less of a trend and more of a common practice when it comes to web design. Last year Google announced that mobile responsiveness will affect a websites rank in search results, making responsive design a must have. “Starting April 21, we will be expanding our use of mobile-friendliness as a ranking signal. This change will affect mobile searches in all languages worldwide and will have a significant impact in our search results.” You can read more about this announcement in our previous blog post: Mobile Responsiveness just became even more important for high ranks in Google and you can read more about responsive design techniques. Flat Design is a minimalistic approach in designing websites and user interfaces where all 3D elements, gradients, shadows and other effects are stripped away. Flat design is about allowing the content to speak for itself. By removing unnecessary styling, it makes for faster loading pages, simpler code, and adaptability. Whether viewed on a desktop or on a mobile screen, flat designs are always legible and adaptable. Below are some examples of flat design icons. A few years ago Google introduced Material Design which is a design philosophy, or more simply put, a style guide for designers to follow. The name “Material Design” is a metaphor for physical materials (such as paper) which have thickness and are impacted by light sources such as directional light and ambient light, and content which is placed upon the materials. The style guide seeks to apply the rules of physics to the way material is depicted in designs, and the way content is placed upon it. Based on these guides, the goal of Material Design is to allow a unified experience across all platforms and devices. It breaks down everything from colour palettes, font choices, spacing, and animation. Just like flat design, Material Design is also content focused. The popularity of this minimalistic design approach will continue to increase as it makes a website or an app look cleaner and load faster by taking out unnecessary elements. You can view Google’s complete guide to Material Design here. Card style layouts for mobile and desktop websites are boxed pieces of content that looks like it is featured on a playing card. Card style boxes typically hold one unique piece of content or information. The Card style layout is a great way to organize large amounts of content. It is highly functional and can be easily integrated with responsive layouts; designers can add and collapse columns of cards to fit the shape and size of the screen. Card style layouts have been steadily growing in popularity over the past few years and developing together with other techniques such as responsive design and flat design. Below is an example of a website designed by Contact Point which uses card style layout. Read more about in our Henry Langdon website case study. Today’s minimal and streamlined web and app designs allow typefaces to be more dramatic and have stronger impact. With free type kits like Google Fonts, designers and developers are able to use fonts that look great on all screens. One way of making a website stand out is by having great imagery displayed prominently. Large background images and videos can help engage users more; it is captivating and focuses attention on the content. With browsers supporting HTML5 video, increased bandwidth, the popularity of background images and background videos on websites will grow even more. When used in the right place and at the right time, animations can truly enhance a users experience and it can convey a message more effectively. Well executed animations can help guide and offer context to the user. Conversely, too much animation or transitions can disrupt the flow and distract the user from an otherwise good digital experience. The Mollard website designed by Contact Point using parallax techniques is a great example of the use of animation. Let me know if there are other UI / UX design trends which you believe I’ve missed! You’ve heard about Google Adwords or Pay Per Click campaigns to bring people to your website, but you don’t know what’s involved, or how to get started. This blog post will help you take your first steps to enticing additional visitors to your website, and inspiring those visitors to take action (buy, browse or enquire). Before we get into that, a quick summary of Google Adword… Google’s paid text ads can appear at the top, in amongst, or at the bottom of, the regular (referred to as ‘organic’ in the web developer world) search results. The text ads have a set format specified by Google. You can recognise the ads by a small orange image that says ‘Ad’ – well, that’s for the moment, Google changes ad positions and styles from time to time. Your ads can also appear in the ‘Display Network’ – websites of organisations or individuals who have decided to try earn some extra revenue by being paid by Google to display your ads. The feature embedded into 3rd party websites to show Google ads is called ‘Google Adsense’. You can also setup image ads, which can encourage more people to notice and click through. Google more recently has implemented an initiative called ‘Re-marketing’ whereby Google tracks who is visiting the websites of advertisers, and then show that advertisers’ ads to those same people when they visit other sites containing Google Adsense. In a way the ad “follows” the person. This strategy is clearly very effective in getting a person to return and buy the product or service being advertised, however, it can be disconcerting / annoying for some. You need to specifically set up Google Re-marketing if you want your ads to follow people around. The Google Shopping Feed is another tool for inserting your products into search engine results. Whenever a person clicks on your ad, they are taken to a page of your website that you specify, and in doing so, are causing you to owe Google a small fee for that click. The fee amount depends on numerous factors, but will usually be around the same amount for a specific ad – when you setup the ad, Google will tell you the likely cost per click. When you setup your ads, you will also set a daily budget for click costs per day, and Google will not exceed that cost. That’s the summary… now, back to getting started! Knowing what your objectives are is essential for achieving them! It can be tempting for business owners to think that they want unlimited new visitors to their website… why put a number on it!? However, in reality, unless your product or service is 100% delivered in a hands-off manner, there will be a limit to the number you can sell in any given month based on your current stock / staffing / processes etc. Your ads will potentially appear in amongst ads of your competitors and/or in amongst other search engine results, so it is important that your ad stands out or grabs the attention of the searcher, to be more likely to be clicked. Before writing ads for our clients, we always look at the ads of competitors, and ensure that we take a different approach. The set format for ads means that there are very few words for you to play with, so writing a succinct but attention-grabbing ad, which appropriately represents your organisation and the destination page, can be tricky! Your ad needs to deliver – when the searcher clicks on the ad, it MUST take the person to a relevant page of your website that meets the expectation set by the ad. If it doesn’t, the searcher will disappear in an instant (but you’ve paid for that visit), and your reputation will suffer a tiny bit of damage because you have just wasted that person’s time. The destination page – also called the ‘landing page’ – will likely need some adjustment to ensure that the searcher knows in an instant that they are in the right place. Repeating that text of your add in the first heading and paragraph of the landing page is one way to achieve this. The landing page should also include a relevant ‘call to action’ related to the ad. Depending on your objectives, your call to action could be ‘sign up for our newsletter‘ or it could be ‘buy now’… Calls to action are often brightly designed images hyperlinked to another page of your site, or text hyperlinks. Because of the need to tailor the destination page to ensure that the ad, for which you have paid, delivers the highest return on investment, often you are better off creating a specific landing page for every ad you run. Once you have your ads written, and landing pages ready to go, you need to setup your ads inside the Google Adwords tool: https://www.google.com.au/adwords/ You need to have a Google Account to login and start configuring your ads. You also need to attach a credit card to your Google Adwords Account in order to start your ads running. The Google Adwords tool can be a little confusing at first, because there are so many settings and options for your ads. So, if you are going to do this step yourself, you are wise to work your way through some Google Tutorials on how it is done. Keywords – you associate each ad with a set of keywords, and these keywords are the main factor in the cost per click charged by Google for your ad. Google provides a tool for helping you choose appropriate keywords. The most cost effective keywords are those with low competitor activity (few others bidding for that word / phrase) yet a high number of monthly searches. Exact or broad match – the Adwords tool defaults your keywords to ‘broad’ match, meaning that if any of the words in your keyword or phrase appear in any part of the search term entered by the searcher, or synonyms of your keywords, then your ad can be displayed. For example, if the key phrase you are bidding for is ‘ladies hats’ and the searcher types in ‘baseball hats’ in Google, then your ad may appear if you specified broad match. Google defaults to broad match because it is trying to give your ad the most exposure possible, and relies on your ad being written well enough so that only your target market will click on it. However, you run the risk of people mistakenly clicking on your ad, and costing you money. Negative keywords – these allow you to stop Google from presenting your ad if a particular word (the negative keyword) is included in the searched for words. For example, if you sell top end perfume and bid on the search term ‘perfume’ with a negative keyword of ‘cheap’, then if a searcher types in ‘cheap perfume’ your ad will not be displayed. Use of negative keywords is an obvious way to ensure that only the right target audience sees your ad. Time of day – you can specify which days of the week, and the time of the day, that your ad should be displayed. If it is very unlikely that your target audience are looking for your services at 2:00 AM in the morning, then displaying your ad at that time would be a waste and attract people from the wrong country. Location – you can also specify where the searcher can be located, either by city, region or country. Budget – you can specify not only your daily budget but also how quickly you spend that e.g. spread over a month, or spent as quickly as possible. If your ads are not displayed or clicked on, then your budget won’t be spent. There are many other settings for your ads; reading Google’s tutorials about these will go a long way to helping you work out the best setting for your ads. In order for your ads to start displaying in Google search engine results you must have a valid credit card attached to your account, and your ads must be approved by Google. The approval process can take several hours, and is necessary after every change to the text of your ads. Ensure they are still running! Ad Impressions – if your ad is never being shown, then it will never be clicked on. You may need to adjust your bid, keywords, or ad copy to improve impressions. Ad Position – you need to check that your ads are being placed high enough in the ads to actually be likely to be seen and clicked. This will depend on advertiser competition, and the amount you are willing to pay per click for your ad. Click through rate (CTR) – some ads will attract searchers more than others – these will have higher CTRs, and are likely the ads you will want to spend more money on, and perhaps pause the others – but only if they are also delivering against your objectives. Actual cost per click – if the average click cost is very close to your maximum bid, you may be missing out on potential clicks and therefore should try increasing your budget. If your daily budget, because the average cost per click is so high, won’t deliver enough potential customers to meet your objectives, then you need to consider increasing your budget or choosing different keywords that attract a lower cost per click. Display Network – if you allow your ads to appear within the display network, you should check that your ads are showing in appropriate sites. It’s time consuming to check each website in which your ad has appeared and then adjust, but you can prevent your ad from appearing again in particular websites. Managing your ads is a little involved, and not managing them well can either cost you serious dollars or mean that you are missing out of potential customers and not meeting your advertising objectives. We understand that setting up and managing Google Adwords can seem daunting, so if you need any assistance we’re happy to help. Split testing, also referred to as A/B testing or multivariate testing, is a method of delivering multiple versions of a web page in order to gather data about the efficacy of particular content (images, text, forms or video). Incoming traffic is distributed between the original (control) version and different variations without the user knowing that they are actually part of an experiment. A/B testing involves testing two variations of a web page against each other to distinguish which version of the web page is the most effective. Multivariate testing involves comparing multiple variations of a web page in order to distinguish which combination of variations is the most effective. A/B testing is excellent if you are after quick insights regarding isolated page elements, and is best for websites with lower traffic volume. Multivariate testing tends to be a more intricate process. Given the multiple variations and possible combinations, multivariate testing requires more testing time and is better suited to high-traffic websites, in order to yield statistically significant results. Perhaps your website is ranking really well in the major search engines, or maybe your search engine marketing and social media marketing efforts are generating traffic through to your landing pages, but that traffic that you have worked so hard for isn’t turning into conversions (clicks, enquiries, sales, signup…). Conversion rate optimisation (CRO) is all about making the most out of your website visits, gathering data about your visitors’ interaction with your website to ascertain how your conversion rate can be improved. Split testing is an important part of CRO. Any element that can be moved on your web page can be included in your split tests, however before testing, like any good science experiment we start with an hypothesis formulated after analysing the behaviour of your current traffic perhaps using heat map analysis. Once an hypothesis has been agreed, the alternate content needs to be written or designed, and programmatically added to the target web page using special script that will deliver alternate versions of the content to different visitors. A returning visitor will always see the same content, as long as they are using the same PC & browser. After a statistically significant set of test results have been gathered, the outcome of the test can then be analysed and if conclusive, the winning content can be permanently applied to your web page, for all visitors. Running a simple split test on the position of a call-to-action, or the text used in your main headline can make a big difference to your bottom line. Repeating the process and testing another change, and another change, will ultimately lead to optimal content for the desired visitor action. Split Testing is a tool used by the most savvy websites, and is now available to Contact Point clients – please get in touch if you have a web page that isn’t delivering the conversions you are seeking! You are currently browsing the archives for the electronic marketing category.